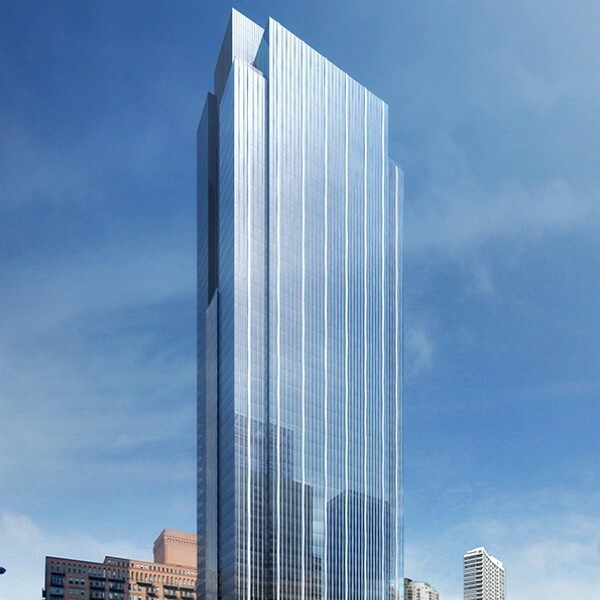 Description: This 53-story, 1,200,000 sf office structure includes amenities such as a high-end restaurant, 6,500 sf fitness center, 2,000 sf lounge, and a conference room. The tower is capped with a 100 percent green roof. The parking garage accommodates 81 spaces located below grade.